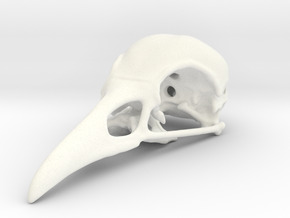 A 50mm version of the Bird Skull - Macro, reduced in scale and adapted so as to be printable in various Shapeways metals. 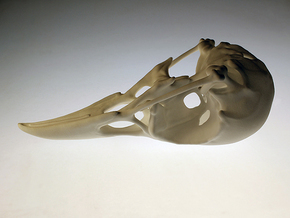 Modelled directly from anatomical observation, based on the skull of the humble pigeon. 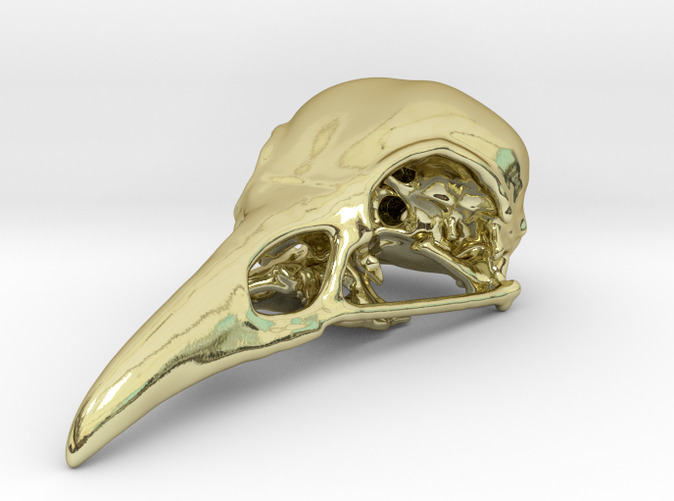 This micro sculpture works nicely as a pendant and the various holes in the skull allow threading of a cord in several ways. 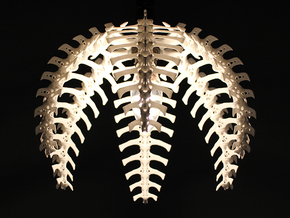 However, a version with extra holes in the cranium (departing from true anatomical faithfulness!) 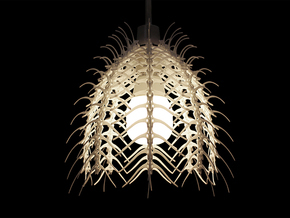 allowing the piece to hang on a cord with ideal weight distribution, is also available.